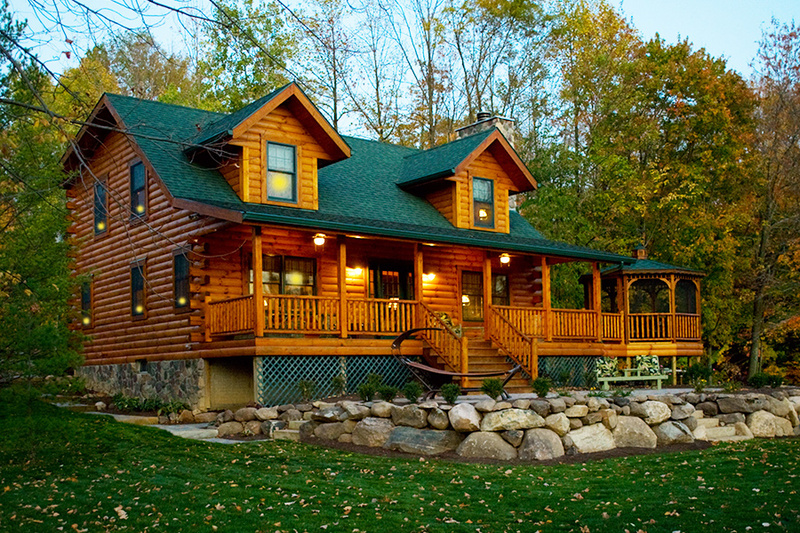 The Hudson is one of our most versatile floor plans and also one of our most affordable. 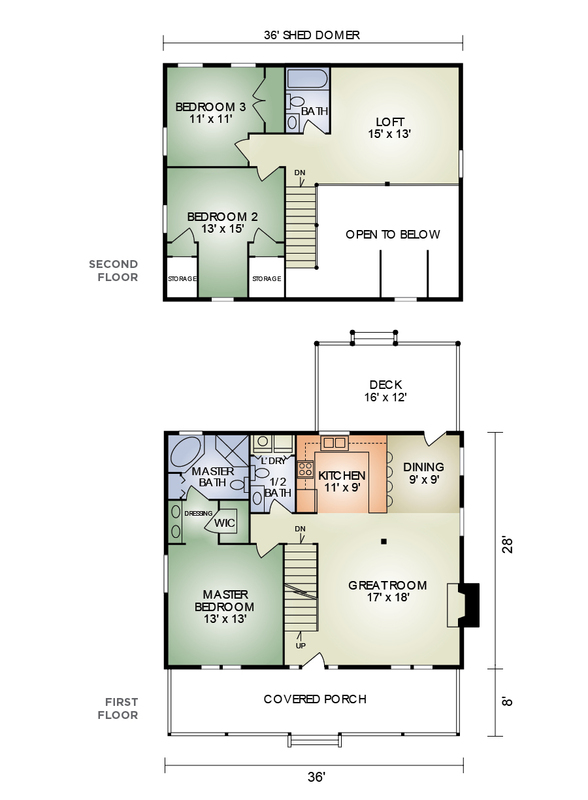 It has the same room layout as our model home, the McKay, in a slightly smaller size. It features the traditional full length front porch, spacious open concept great room with exposed timbered ceiling, master bedroom with adjoining dressing area/walk-in closet, master bath with room for a hot tub and a convenient first-floor laundry with a half bath. Upstairs, there are two more bedrooms with room for an office or sewing room in the open loft. A rear deck conveniently located off the dining area makes hosting family and friends a pleasure.